Lol, it feels like I’m saying something like “Greetings Earthlings.” Sorry. I really just want to discuss some new things that are happening with anyone who has kept up or been keeping an eye on my blog here. If you’ve noticed (or not! and no worries if you haven’t!) I have not been posting a lot to this blog. It is not because I am abandoning it or am in the dark. It is more that I am moving on. The light has been with me, and I have been with the light…and we’re starting to have a relationship. And as relationships go, they take a lot of time, commitment and energy. It’s an exciting time, especially when a relationship is so fresh and new, so I don’t want to leave you out of it. Please feel free to join me there and connect with me as I have also created a related Facebook page where I can share on a different level and, hopefully, maybe even get to know you. I value my relationships and connections so know that I have tested out these new waters before bringing you into the tide. The waters at Life With Light are moving, but a lot more stable and clear. I haven’t been in the mood to write much. I don’t know why. Maybe I feel vulnerable. I surprised myself and attended all of the workshops with Max Strom I signed up for last weekend. After “The Healing Power of Forgiveness” lecture Max presented, I stayed awake late into the morning hours because I couldn’t sleep. I wasn’t really thinking anything, so it’s not like my thoughts were keeping me up. I was just filled with energy. I still actually feel that way, even though I have been extremely tired/wiped out at the same time. I actually told some of my friends about Max coming to town because I had already shared about his “Learn to Breathe” DVD on Facebook before I ever knew he was coming to town. So one of my best friends and her husband decided to come with me for the Forgiveness lecture. It was nice to not be there alone. It’s been so long since I haven’t felt alone in this healing process (if this process is a healing process and not something else I don’t even know yet.) There are still times I feel really alone, but the structure of my life –and me– is changing. I’m a lot more open these days, more uninhibited, more real (I’d say,) and less ashamed. The shame waves still take me down every once in a while, but they don’t seem to be as high as they used to be. Not as powerful. Either I’ve gotten stronger or the shame has become weaker…or maybe both…which is extremely cool. I’m able to step back when it feels like I’m about to go down and say, “Wait a minute, that’s shame and it’s not really mine.” Or…which isn’t quite as fun (but no less useful) I am able to step back and look at what I’m experiencing and see where I need to step up and grow beyond myself a little bit…or a lot, but with realistic expectations. I sometimes wish I could just punch things into a computer and put all the pieces together to make them whole again without all the elements having to actually go through getting where they need to be. But then it wouldn’t be real life, and real life is what I’m after. I don’t want just a virtual life. The part that is so hard is looking up, making eye contact and not just watching images interact on a screen. In his workshops, Max actually spoke on how with the technologic developments that are going on robots are becoming more human and humans are becoming less so. It’s easy to see and say that, harder to take responsibility for our humanity and counteract it. Especially when so many people are hurting. It’s sometimes seems easier (and better) to stop breathing and let the robots do it for us.I know it’s a lie. Most things that steal true, authentic life away is a lie. But lies can be enticing, even when you know what it is. The lie says you can do that (in this case, not breathe) and still get away with it. Anyway, Max didn’t talk about lies. He talked about breathing. And he didn’t just talk about it. He demonstrated and taught how to do it too. A word about Max Strom that I haven’t really read anywhere else. He’s known as a respected yoga teacher and somebody who teaches deep breathing (the kind that actually gives and sustains real life,) but nowhere have I ever seen that Max…is for the children. Yes, Max is a teacher who gets it. He understands about the hurt and pain and struggles of our lives, but he’s not blind to the origin. Our pasts…and most commonly, our childhood. Without saying a word about creepy inner child stuff (Inner child stuff is not really creepy, but it has always just creeped me out.) he speaks to the inner child (through teaching breath, it’s the inner child part of us who I think has stopped breathing, and we just follow along…my words, NOT Max’s…so this part is my spin on what I learned from him this weekend)…and then once he sees that he had taught our inner child (or teenager) how to breathe…he reaches out to the children who are really in our homes. I can’t even name the times Max directly spoke about the children in our lives and in our world who need us to breathe down the defenses of our armored lives, our armored chests. ‘Breathe down the defenses’ are my words too, but that’s how I interpreted what I learned. And…it’s what happened in the space of the hours I was in workshops this weekend and what I’m committed to working on from here on ever-after. I’m sure there’s a lot more that will come out as a result of what I learned. It’s hard to put it into a summary of words because breathing (in my mind) is such a right-brained thing, even if breathing deeply takes some focused effort. Maybe the effort lessens some after you’ve done it longer. It’s too bad we take one deep breath when we’re born and then it seems they get shorter and more shallow as life progresses. I say, let’s reverse that trend. I’m going to do my part! I knew it would come. I’ve prepared for it for years. I don’t know when it hit me that I knew this would be part of the story, but the feeling/knowledge has been around seemingly forever. Maybe it’s something as simple as breath…and it originates with the breath and wherever breath comes from. A couple of months ago I posted here about breathing and a guy, Max Strom, who teaches people how to breathe. A few weeks after I discovered Max Strom and his dedication to breathing I went to a yoga class at my local studio and learned that he was coming to see me! Ok, maybe his intention was not to come see me, but he was coming to lead some classes at the very studio I attend! And it all begins tonight. Forgiveness? I thought this was about breathing!? It has sometimes seemed almost like a dirty word. In the world of healing it’s one of the very biggest words I can think of…just to even think of. Loaded. Like guns are sometimes loaded. Big. 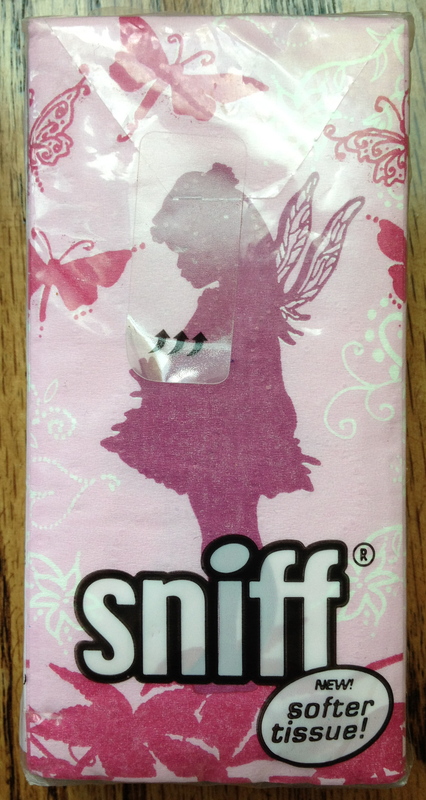 I have an inkling that these tissues I picked up recently are soon going to have the perfect occasion for their début. Some years ago, after the abuse from my former therapist and after the extended stay on a (emotional) trauma unit in a hospital, I picked up a book titled, “Daily Affirmations For Forgiving & Moving On-Powerful Inspiration for Personal Change” by Tian Dayton, Ph.D.
Like I said, I knew a long time ago this day would come. I at least hoped for it to. It was at least on my mind. My heart wanted to want it. I am heart-scared. I am the cowardly lion. I’m walking into that realm. 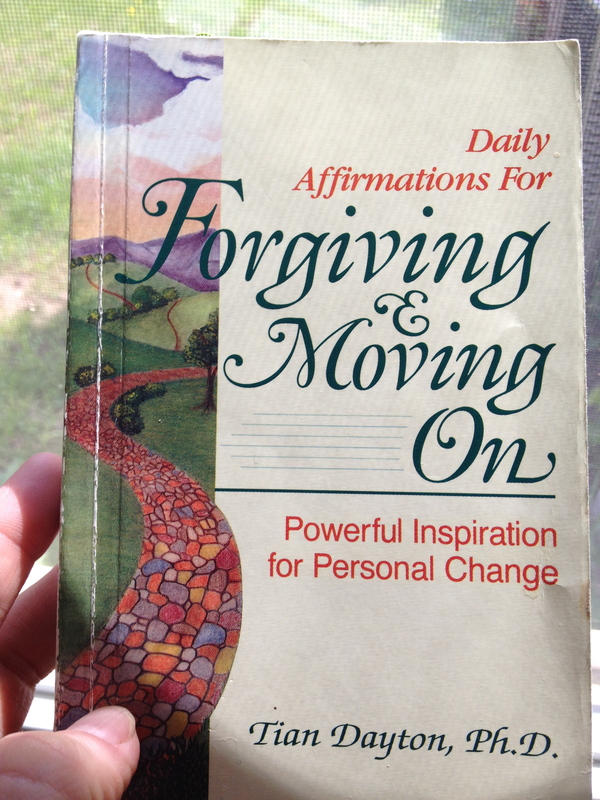 I’ve had this book and scary thoughts and deep gut feelings for years that one day dealing with the topic of Forgiveness would enter onto my path. I tried to look at the “Forgiveness Book” when I purchased it, but never really made it past the title, itself. I didn’t know what exactly was in there, but I wasn’t ready for it. It was foreign. It even seemed insulting. Yet, I still knew I needed it. I wanted it. I spent my hard-earned cash on it. At the time I was single and not even close to making ends meet and I still bought this book. Now, I know there’s no magic in this book. There probably won’t necessarily be “magic” in Max’s lecture tonight, as much as I’m extremely excited about being in person to hear it. But the magic-or the real scary blessing-is that the presence of this in my life has arrived. And the timing, of all things! And here’s another interesting tidbit. I had even forgotten that I had the Forgiveness Affirmations book until yesterday when my 10-month old baby daughter was checking out the bookcase and started pulling books off the shelf to show me. Guess what she handed me…. So, tonight I’m attending Max Strom’s lecture on The Healing Power of Forgiveness. And if you’re wondering, I did actually purchase his breathing DVD titled “Learn to Breath to Heal Yourself and Your Relationships” like I said I would in my February post. It’s still sitting, safe and sound, in the hidden darkness of it’s DVD case. I took it out once to preview it while I cleaned the house. I thought it looked exceptionally good and like something I really needed. And that’s where my breathing practice ended. But now here it is. The real deal, living and breathing right in front of me. And I’m ready, ready or not. It’s going to be a busy few days. And on a completely different, but potentially related subject…On Sunday, after my workshops with Max are complete, I’m heading immediately across the street for a sewing class I signed up for (without knowing I already had all of this other stuff going on)…another skill that I haven’t mastered that I think could quite possibly be essential for life! When I was little I always hoped that I would be adopted. It didn’t matter that I never was in foster care or that anyone hardly noticed I was alive…other than when they did notice (and, then they noticed a lot) and always seemed to be really upset about it. Sometimes I had hopes about my own family. I would get my hopes up when there would be a moment of laughter…which usually came after a really big fight of some sort. There was so much tension all the time. I think I took it all into me. I was the youngest and the smallest, and out of the kids there were only the two of us. I was kind of the runt. And I didn’t mind being the runt. Being the runt can be nice and safe sometimes. I was always somewhere else. I happened to get a massage today and went somewhere else. I went a few places, actually, but one of them was my first grade classroom. I remember it. Not vibrantly, but it’s not muddy either. It’s blurry…but moving images are there. And what I remembered today while I was in my first grade classroom was looking out the windows. Our classroom had windows that lined one wall facing toward the playground. I remember a sunny playground with black and white rock asphalt topping. I don’t remember too much from 1st grade. But when it comes time for me to answer security questions…i use info. from a memory i have kept about 1st grade. Even if that means sharing that info. means my security questions aren’t as secure anymore? It was really 2nd grade that I was thinking about when I went there. I was thinking about how when I was in second grade I would never ask the teacher to use the restroom when I really had to go. I was too scared to upset her and make her mad because I knew the classroom rule was that students were only supposed to be allowed to use the restroom at designated “restroom break” times. And believe me, I always used those times! But sometimes I’d really have to use the restroom even more than that. But I would never ask. This started to cause a real and serious physical problem for me because I had undergone a surgery that was in “that realm” a few years earlier, and it was physically important that I have access to the restroom when needed. I remember my mom telling me I didn’t have a choice about asking the teacher to let me go, even if it wasn’t a scheduled time. I was always so afraid to ask. Even though it’s what I needed, for real needed, and wasn’t just trying to get out of classroom time like most of the kids who always wanted to leave the room when they could find an excuse. And also about second grade…I remember learning how to tell time and count money because there was a workbook that you tore out paper coins from and the teacher had us rearrange and count in all sorts of benign ways. I was never really very good at telling time or money. Oh, and I remember show-and-tell! And I also remember one day where we had some kind of fitness drive going on at school and everyone participated in aerobics led over the intercom in their classrooms. I remember thinking that was so bizarre and fantastic! And I don’t know why I’m remembering that. Maybe it’s because in therapy we’ve been talking about asking for things and making requests. Maybe it’s because this cleanse I’m doing is in some odd way related. (Even though it’s not really “clearing me out,” at least, yet.) Maybe it’s because I’ve experienced so much fear lately, along with really having a strong drive to put myself out there in life. Maybe it’s just because I’m growing and I’m processing little tidbits. Maybe it’s like when you juice something. There’s the juice, which is usually the goal, and then there’s all that pulp. What to do with all the pulp?! To get back to the present day, producing all that pulp has gotten me thinking about starting my compost again. It’s still just a great idea in my brain and it needs to find a new home. A home, like maybe in the corner of our backyard…or somewhere where the neighbors won’t complain about me having a compost. Again, scared of upsetting someone else for doing something on my own property that isn’t hurting anyone. I’m tired though. I’m just tired. And I still wish I could be adopted. I know it’s never going to happen. I know I probably couldn’t even handle it if it did. And it might not even really be what I want. I thought getting married could sort of be like getting adopted. I was seventeen the first time, so it sort of could have worked. But it didn’t work out. No, it just didn’t work out at all. I’m tired. Too tired for daytime, even if it’s 10:30 pm. I’m going to close my eyes. Sweet dreams. Tonight was my second swimming lesson of the year. I’m doing pretty good, considering the last time I took lessons (which was my first time) I was so scared to even get my face wet. Tonight I was actually using the lines in the lap pool lanes for what they are for! I never knew those black lines on the wall sides of the pool were for foot placement! I not only am getting my face wet, but I’m going under without holding my nose, using correct form and pushing off the wall under water and then rising to the top and swimming!!! Granted, I still freak out when I know I’m nearing the deeper end, but my teacher said he knows I can do it because he can see from watching me that I have the capacity already to be doing laps. My teacher is really good too. He has tattoos on the inside of his biceps…one bicep has “Nothing Ventured” written across it, and the other “Nothing Gained.” Then he has a cross tat on his shoulder blade and I’m pretty sure a tat that says “Faith” going down the side of his ribs. We’re working well together! And I found something I think I can do while I heal my hurt knees that is actually really fun! Toward the end of the class I asked him about underwater swimming. I noticed he’d mentioned underwater swimming several times in last weeks lesson (our first lesson) and could see it was one of his favorites. And I’ve been working a lot on breathing while swimming. So I was wondering about underwater swimming and how that works out. I was trying to figure out how you breathe under there! So he showed me. What bliss, what heaven under there. It was almost like skydiving (only not really.) But if I can’t jump out of a plane (with a parachute) every day then it’s probably a lot more likely that I can jump in a pool and dive that way on a more consistent basis. Anyway, I feel happy that I’ve been working through a lot of fears this year. It seems like with every fear there is another one right in line behind it. I guess that’s ok. If I ever completely work through all of my fears I probably will be dead then? In the movie, Finding Nemo, there’s a character that says, “Just keep swimming” a lot. I always like that part. Last week my teen daughter was with me (because she wanted to go to my lesson with me) and she kept giving me the “thumbs up” sign, which I’m sure has a lot to do with my success, actually. Because last week, wow, I was really scared. I hadn’t been in water outside of a bath or shower in over two years and hadn’t practiced my swim skills at all up to that point. All in all, it was a good lesson which I had all to myself because the guy that was a student with me for the class didn’t show up tonight. It might be that showing up is the hardest part.